When it’s time for coffee, it’s time for coffee. But we don’t stop at brew speed. For drip coffee makers, we conduct a brew-performance test to measure the brew temperature and contact time (how long water stays within the sweet spot of 195° F to 205° F for brewing). For pod coffee makers, our engineers evaluate temperature consistency and size consistency of individual cups of coffee. Then our expert coffee taste tester weighs in. Both types of coffee makers also undergo convenience tests to evaluate how easy it is to set timers, fill the reservoir, clean the machine, and more. These exhaustive tests mean you can trust our coffee maker ratings to find a fast coffee maker that’s right for you. As a point of comparison, the slowest coffee maker in our ratings takes 17 minutes to brew a full pot. Here are six of the quickest that also earn top scores for brewing. CR’s take: One of the fastest drip coffee makers in our ratings is the Mr. Coffee Optimal Brew BVMC-PSTX95. 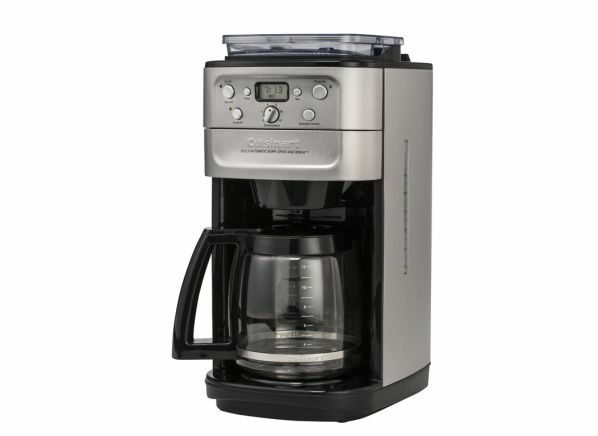 Wrapped in a stainless steel finish, this machine features auto-shutoff, programming controls, a cleaning indicator, an insulated carafe, and more. In our tests, it earns an Excellent score for brew performance but falls short in carafe handling—most insulated carafes tend to dribble when pouring. Keep in mind that for this machine and the other drip models on this list, if you make fewer than eight cups of coffee, you’ll have a finished brew in even less time. 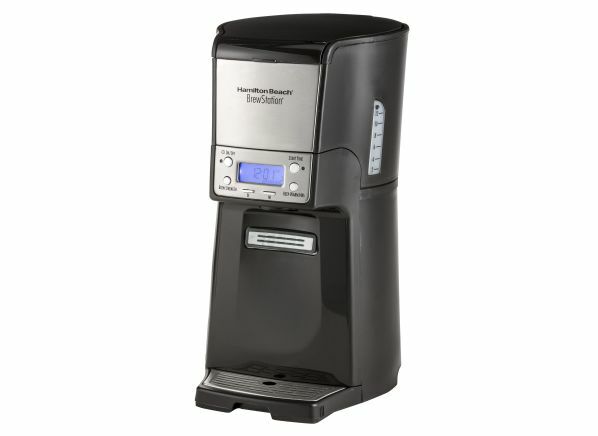 CR’s take: If you prefer a self-serve reservoir over a carafe, the speediest machine you can get is the Hamilton Beach BrewStation Summit 4846. This brewer can hold 62 ounces (or just over 12 cups) of coffee in its reservoir and offers a dispenser to fill individual cups. 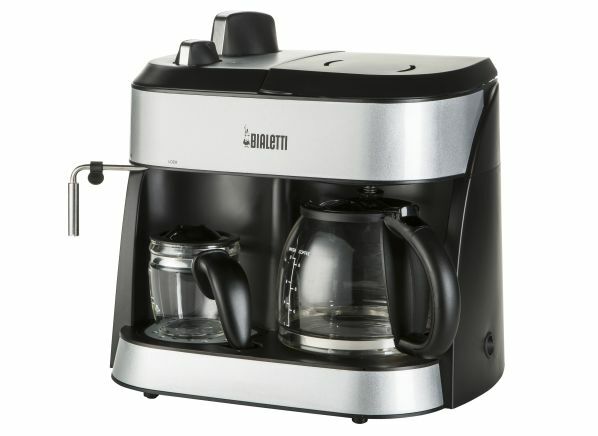 The model has a programming feature, auto-shutoff, brew-strength control, a cleaning indicator, and more. It earns a Very Good score for convenience, and has top-notch brew performance, too. CR’s take: For coffee aficionados who prefer grinding whole beans over buying coffee already ground, the Cuisinart Burr Grind & Brew DGB-700BC is the machine to buy. It earns an Excellent score for carafe handling, with superb brew performance and convenience. 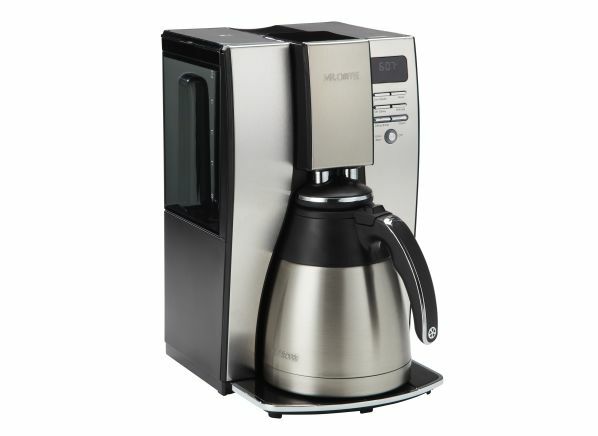 This Cuisinart also features programming, brew-strength control, auto-shutoff, a water filter, a permanent coffee filter, and more. CR’s take: If you like being able to offer guests the option of coffee or espresso, check out the Bialetti Combo Coffee & Espresso 35019. (Keep in mind the 8-minute brew time applies only to coffee; we don’t calculate the time for making espresso.) This dual coffee/espresso machine doesn’t offer as many features as its standard drip cousins, but it still comes with auto-shutoff, a permanent filter, and two glass carafes. In our tests, it earns top scores for brew performance and convenience, and a Very Good score for carafe handling. 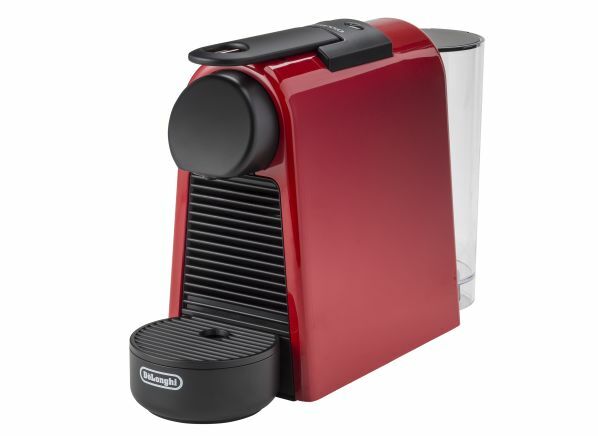 CR’s take: The speediest (and best) pod machine in our ratings is the Nespresso Essenza Mini, which uses Nespresso OriginalLine capsules to brew both coffee and espresso. 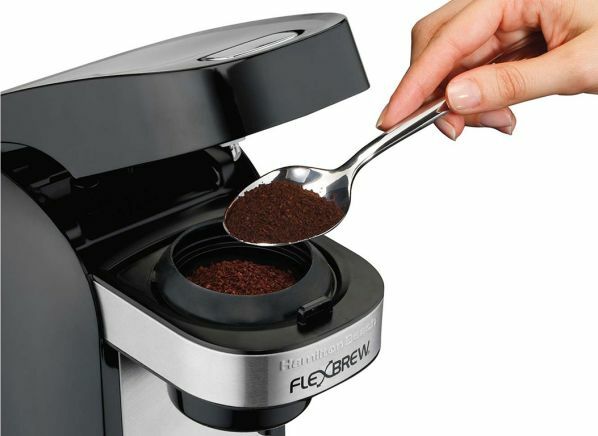 Our testers give it an Excellent score for first-cup speed, and the repeat-cup speed is just as good. Cup-size consistency and brew-strength range are also tops. Expect a removable water reservoir, a height-adjustable drip tray, and auto-shutoff. CR’s take: For the Keurig K-Cup faithful, the Hamilton Beach Flex Brew Generation 2 49997 offers an equally zippy brew time. This K-Cup brewer also doubles as a one- or two-mug drip coffee maker and features auto-shutoff and a height-adjustable drip tray. In terms of performance, it earned an Excellent score for first-cup speed, with superb temperature consistency and cup-size consistency, as well as top-notch repeat-cup speed and brew-strength range. You can use either K-cups or loose grounds.